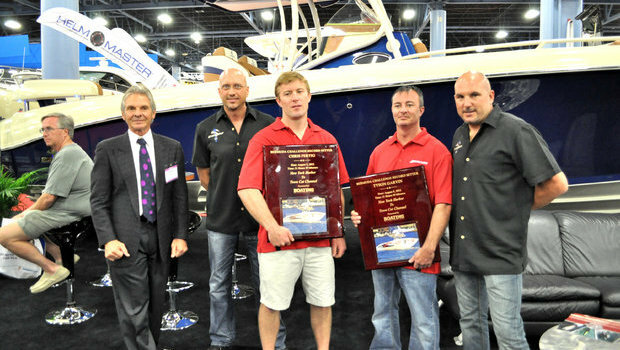 Chris Fertig and Tyson Gavin received an award from Boating Magazine for setting a new world record from New York to Bermuda aboard Fertig's diesel-powered 37' Statement center console. Shown here with Statement's Craig Barrie, Todd Werner, and Nick Buis. 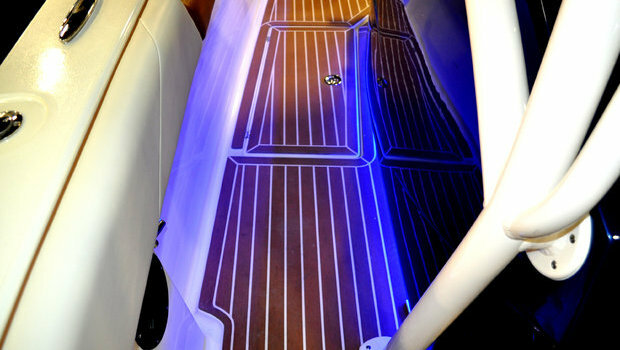 Shot of the tunnel on Statement's newest 50' Passion, "Stray Cat." 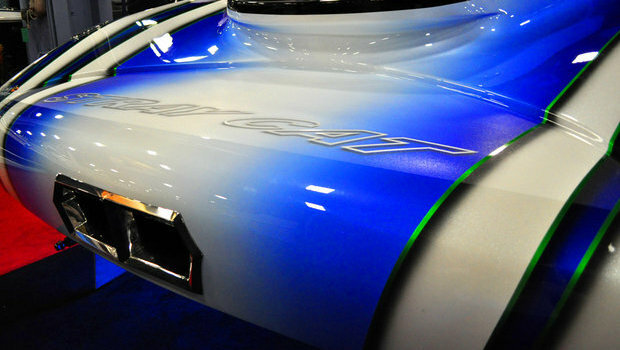 Photo showing the exquisite paint detail on Statement's newest 50' high performance catamaran. Luxurious cockpit features custom sculpted upholstery, integrated nav system, LED accent lighting, all riding on Statement's patented Air Cushion cockpit suspension system. 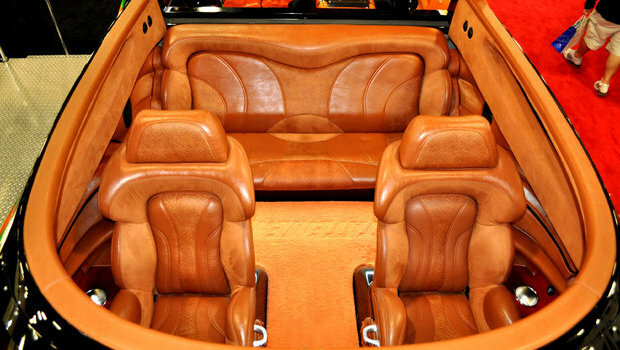 Custom-contoured, comfortable seating for six. 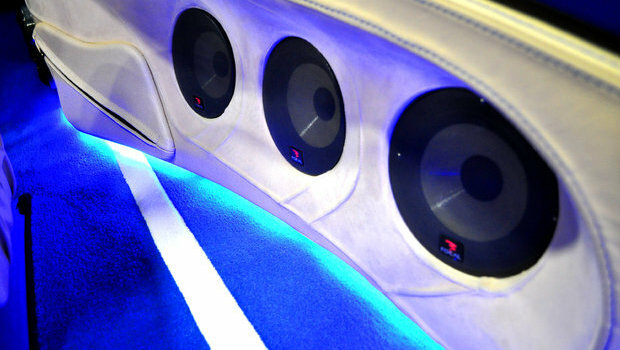 Extreme high-end audio for an extreme high-end high performance boat. 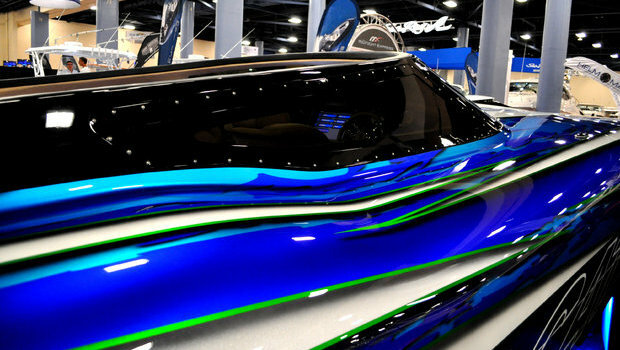 Twin Mercury Racing 1350s in the Statement Passion 50 high performance catamaran. 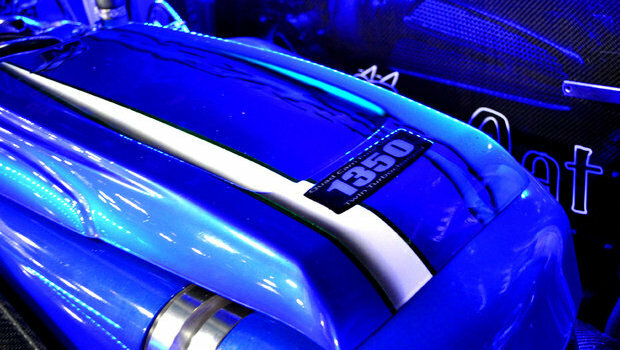 Innovative concealed exhaust on the Statement Passion 50 high performance catamaran. 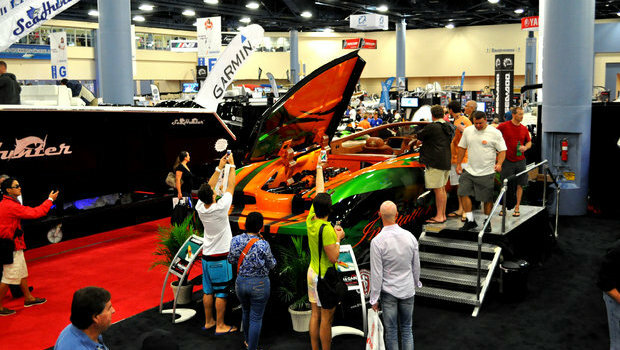 Also on display was the Statement 42' Ultimate, "Invitation Only." This is the very same boat that will be featured in the upccoming Paramount Pictures / Michael Bay film "Pain and Gain," starring Mark Wahlberg and Dwayne Johnson. 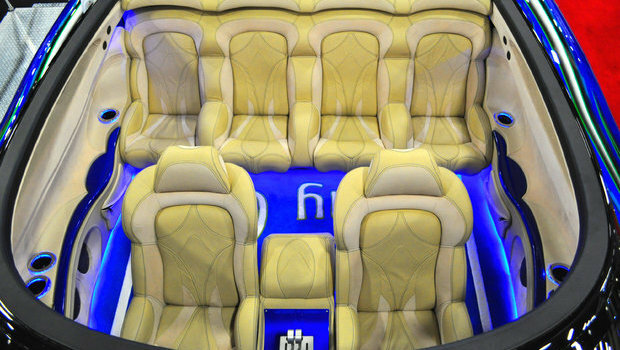 The Statement 42 Ultimate features comfortable seating for five. 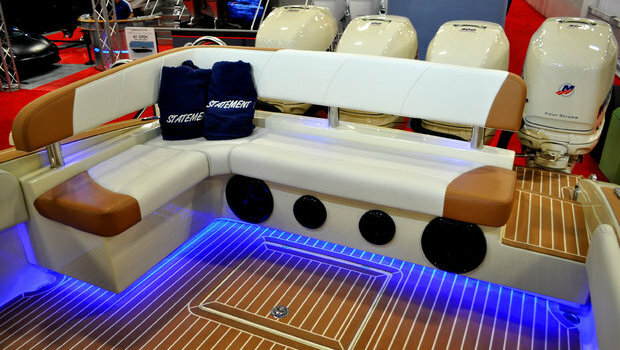 Elegant dash of the Statement 42' Ultimate vee bottom high performance boat. 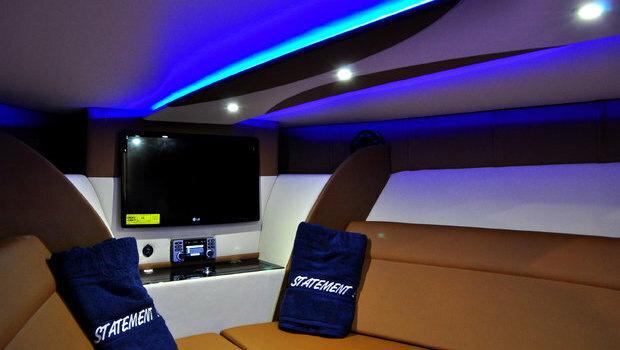 The Statement 42' Ultimate's comfortable, roomy cabin. 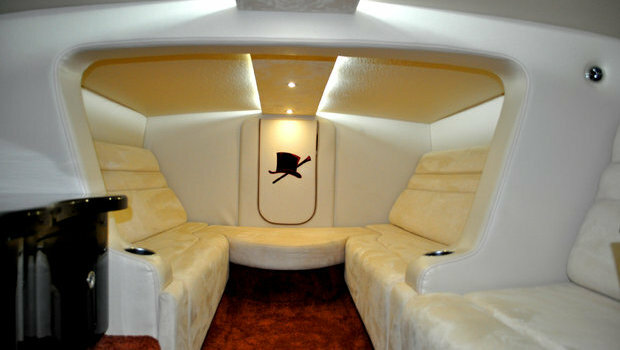 Comfortable facing love seats with a concealed marine head forward. 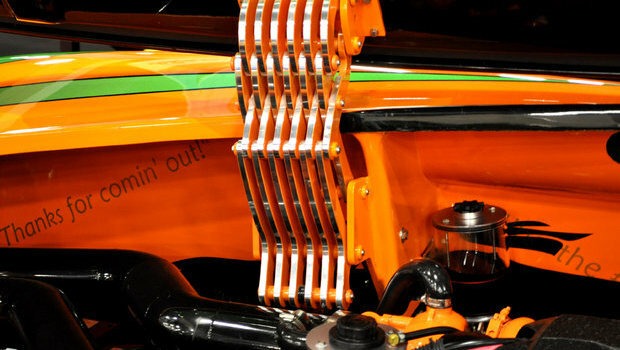 Statement's custom engine hatch hinges allow the 42 Ultimate's engine hatch to open rapidly for fast, easy access. 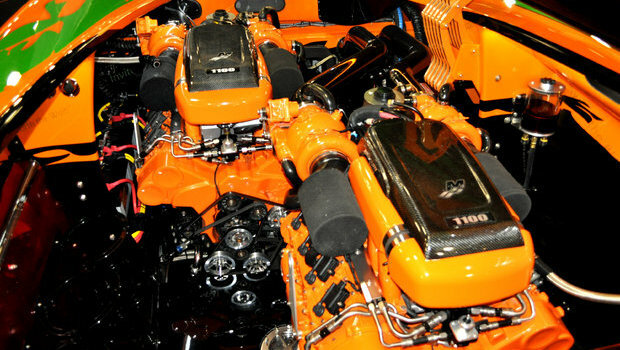 Twin Mercury Racing 1100s in the Statement 42' Ultimate's fully-detailed, color matched engine compartment. 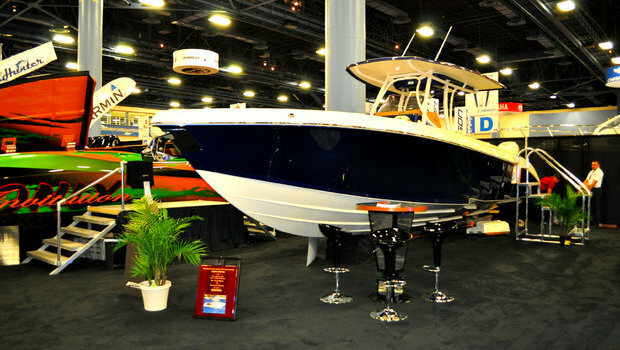 Statement 35 CC on display at the Miami Boat Show. New standard dash on Statement's 35 and 38 CC. Standard helm seat on the 35 and 38 CC, features forward and aft-facing seating with integrated insulated storage. 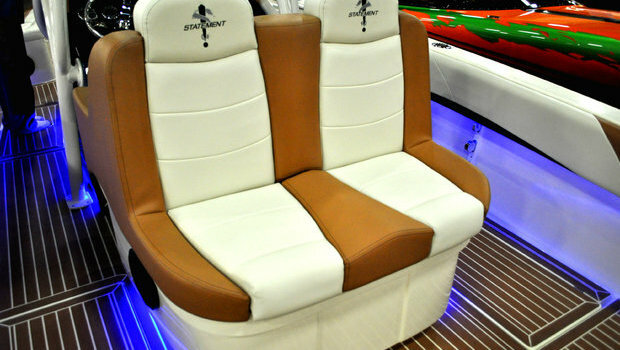 New standard sport bench seat on the Statement 35 and 38 outboard center consoles. 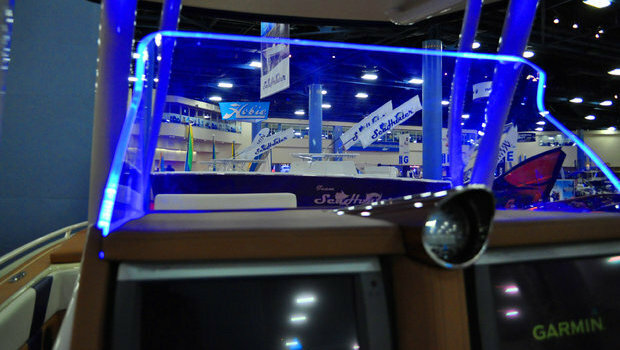 Each Statement center console comes standard with a full array of indirect LED lighting at the console, and seat bases. 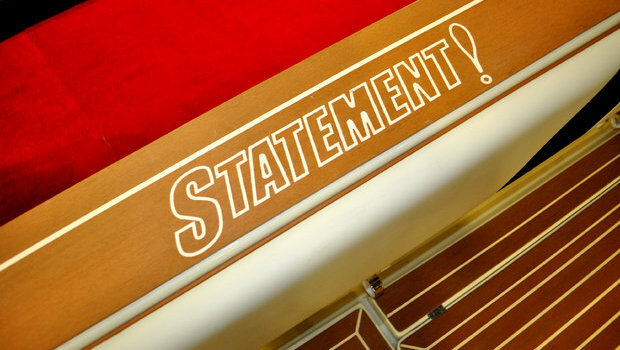 Available poly teak flooring with Statement logo in the gunnel caps. Available L-shaped aft seat with elevated backrest. 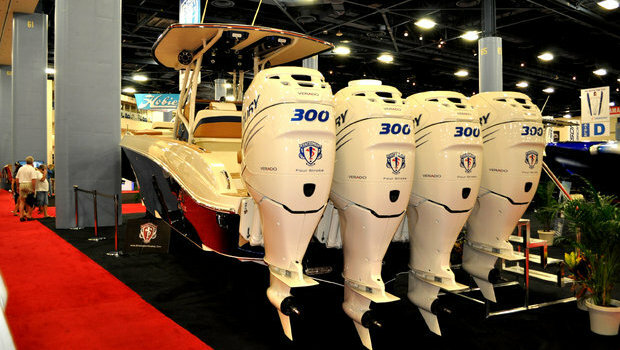 Available on the Statement 35 and 38 center console outboard models. 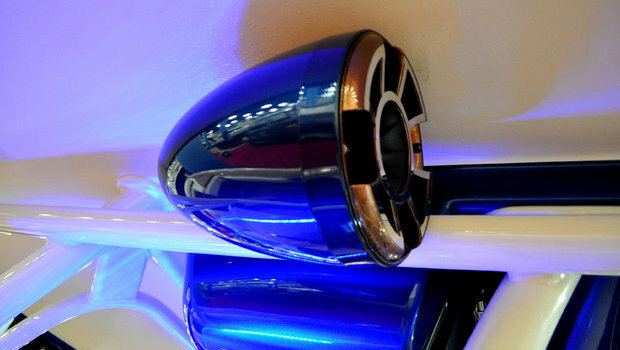 Statement's available LED windshield accent lighting. 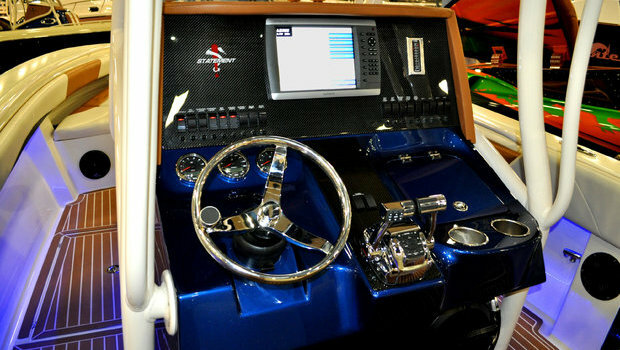 Custom JL Audio installation on Bob & Madelyn Christie's 38' Statement center console. 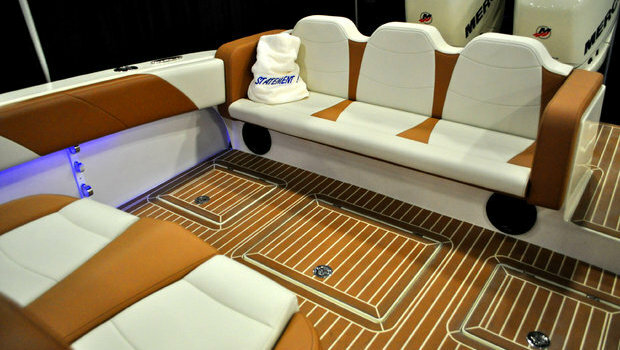 Roomy cabin on the 38' Statement center console. 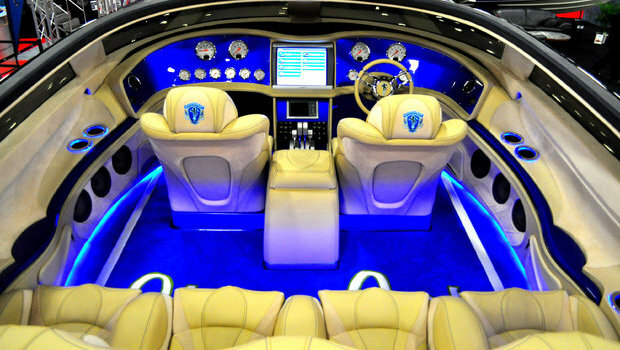 Shown here with available LED cabin mood lighting package. 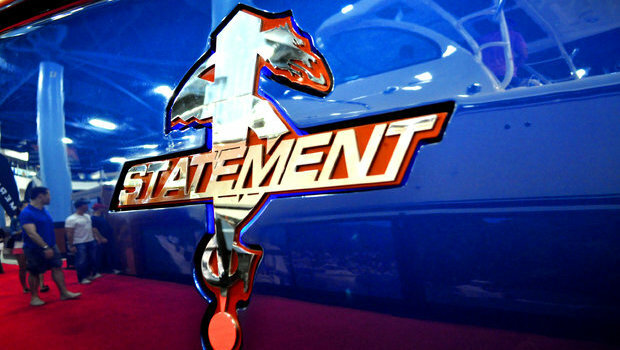 The Statement Marine booth enjoyed heavy traffic throughout the show. 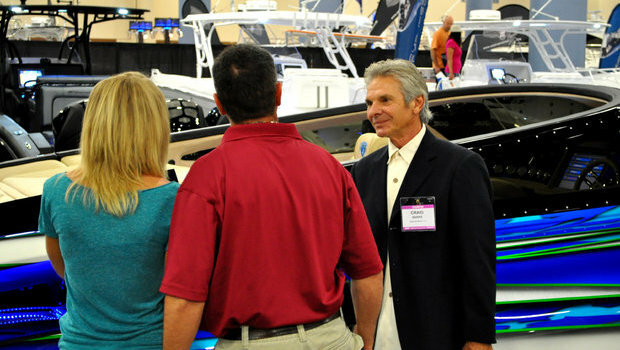 Statement's Craig Barrie chats with customers. Custom recessed, stainless steel Statement logo with LED backlighting. 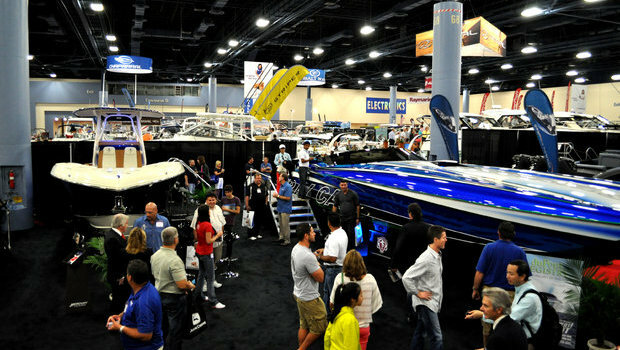 Photos from our display at the 2013 Miami International Boat Show.